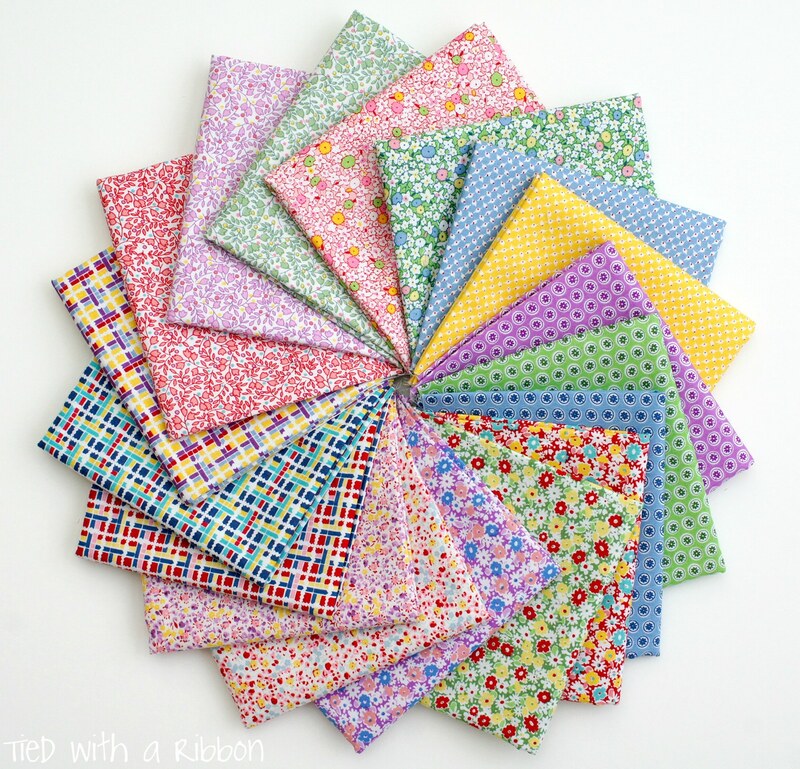 Tied with a Ribbon: 30's Minis and English Paper Piecing - Oh My! I have long loved 1930's Reproduction Prints - I love the delicate and sweet pictures, florals and prints that define this genre of fabric. 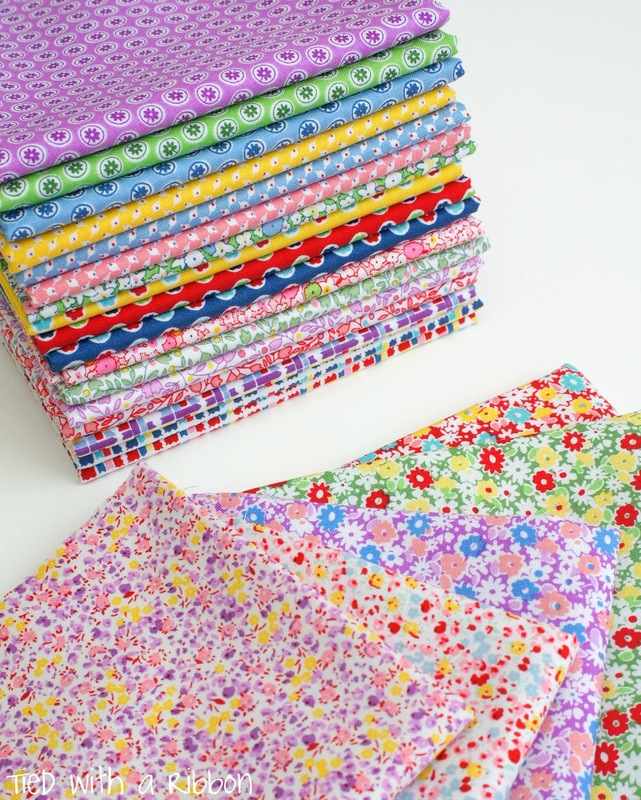 This new Range is called "30's Minis" by Erin Turner for Penny Rose Fabrics distributed in Australia by Millhouse Collections and available in May. There is a great variety of bold colours, pretty florals and geometric prints all on the Mini side making them ever so tiny and sweet. Designing with this fabric range has been a delight and finding it hard to settle on one new design project for this range - I decided Why not have all three! So I am busily sewing three projects to feature three different techniques. These prints are just coming up a treat so far with these different projects and I love how the colours play so well together with the large selection of prints in this range. 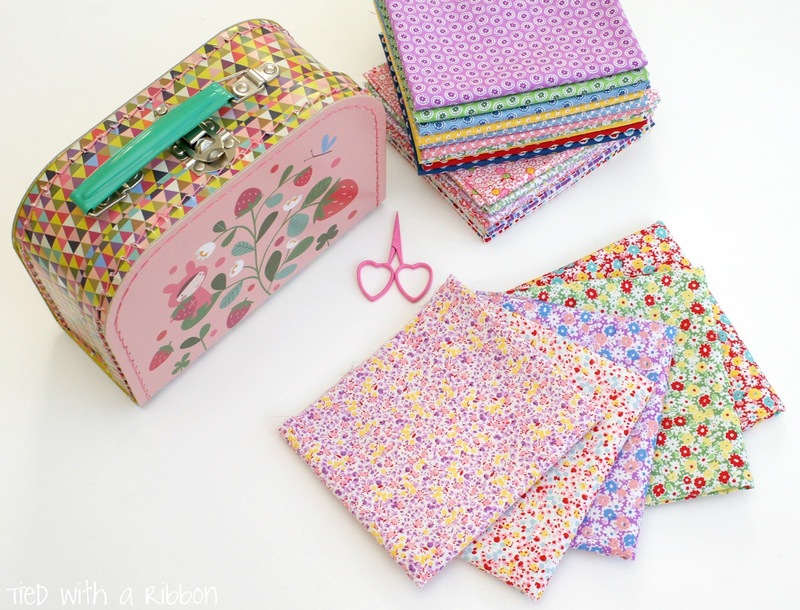 If you are a Reproduction fabric lover then this range won't disappoint. 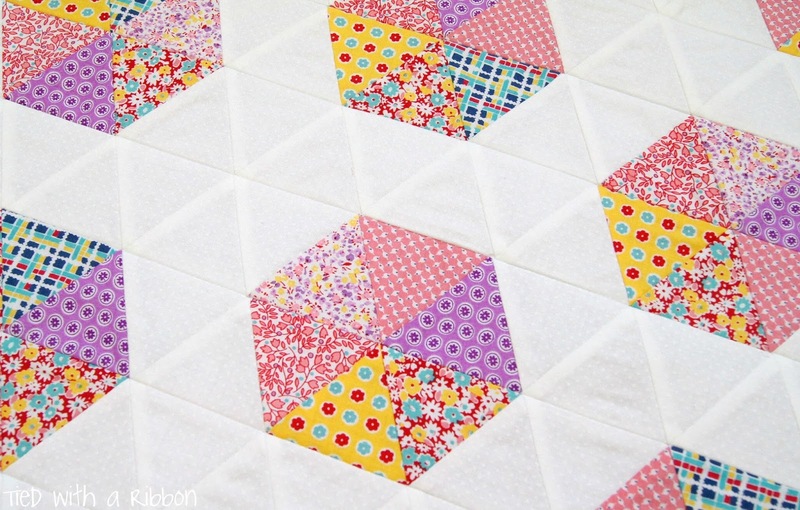 One of the techniques in the project is an English Paper Piecing Project. Sue Daley of Patchwork with Busy Fingers has an amazing range for those who love English Paper Piecing (EPP). 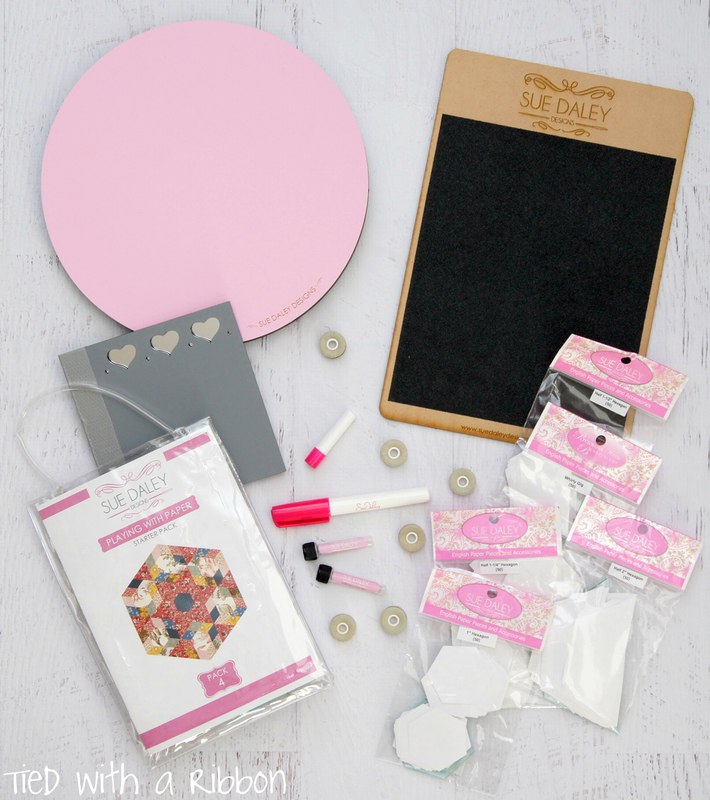 Her range includes items such as Threads, Needles, Glue Pens, Rotating Cut Mats, Sandpaper Boards and then her Papers come in precut packs with an Acrylic Template for cutting and marking. And lets just say I can not wait to get into the Playing with Paper pack - everything I need to create the beautiful block all in the kit. 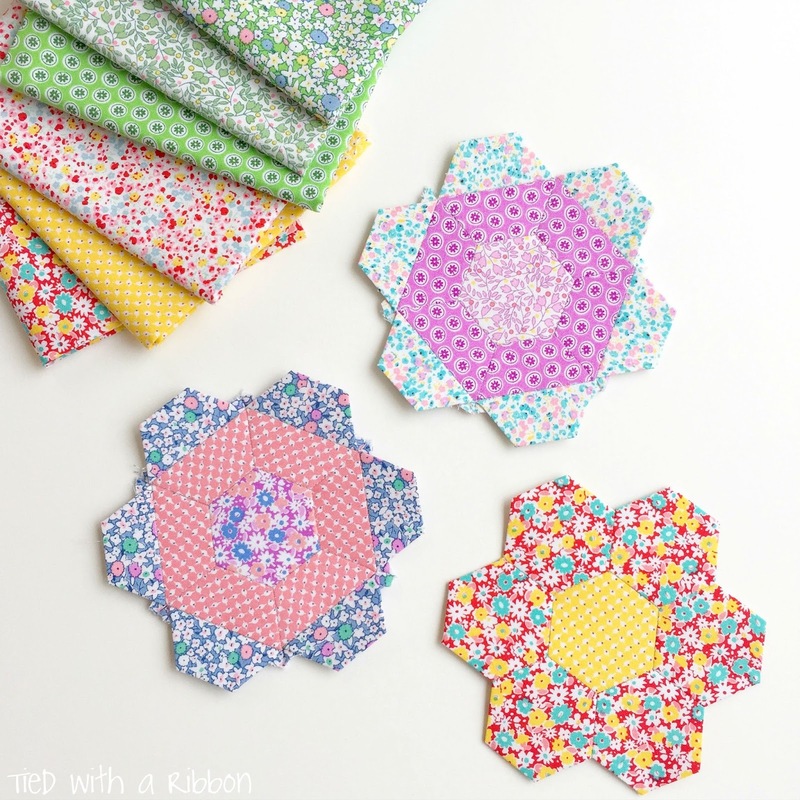 The papers are nice and firm and being able to cut out the fabric with the Acrylic templates to match means that all the guess work is taken out and I can cut multiple pieces of fabric for my Hexagons or other EPP projects at the same time. And I am a a Glue Pen convert - although I do like basting Hexagons for this project being able to glue them has made quick work of all the basting. 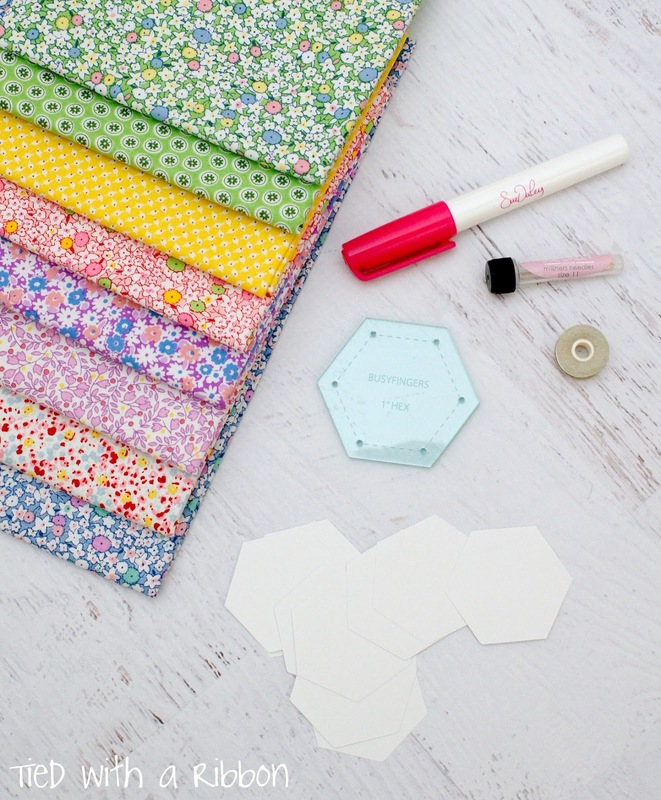 Using the Pre cut Hexagon Papers and Templates I have been creating a variety of Flowers for my 30's Minis project. Can't wait to share more with you as I go.